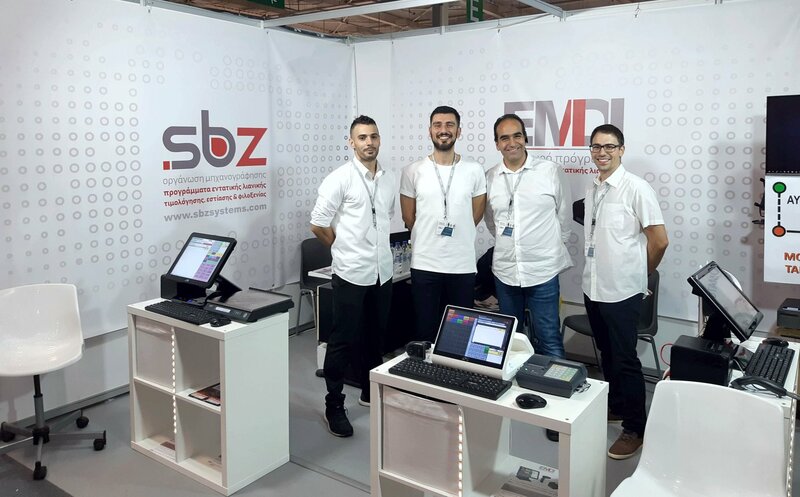 SBZ Systems has successfully presented its extensive retail solutions as part of its participation at the Market Expo Trade Show, held from 5 to 7 October 2018 at the Metropolitan Expo Conference Center. EMDI Retail POS is ideal for professionals in food, beverage, toy, tobacco, commercial and manufacturing businesses. In Hall 1 – H25 booth of the conference center, the company welcomed its customers, who visited us to see the potential of the applications, while the booth was flooded by wholesalers and organized retailers who wanted to get to know the EMDI software product line. 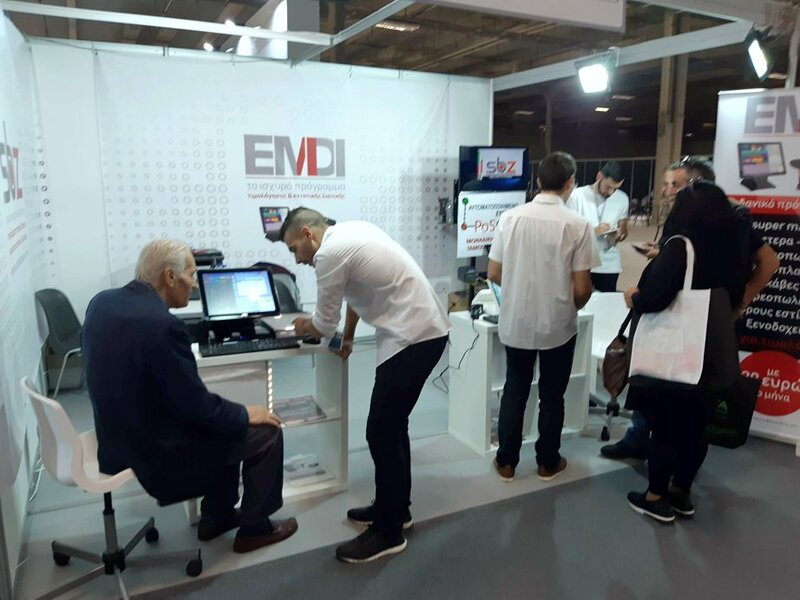 Visitors were particularly impressed by the ability to try EMDI for free for 1 month, so everyone can test and benefit from the new features, speed and simplicity of the application. Audience was also impressed by the possibility of linking EMDI to all e-shop platforms, as to all courier companies! SBZ systems covers the full range of day-to-day operations of professionals, with integrated IT solutions for both sales points and back office, through EMDI commercial management. It also helps professionals to improve productivity, reduce costs and increase profitability! 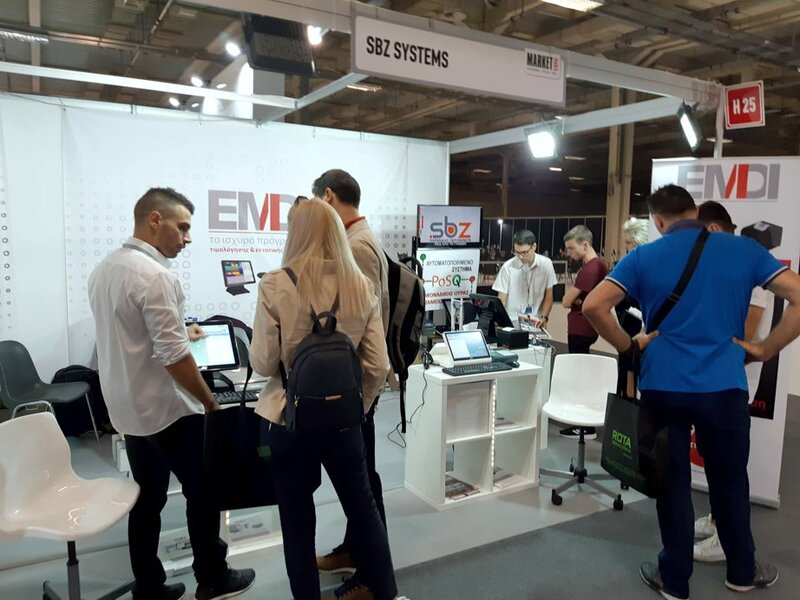 The great attendance of professionals at our booth, as well as the intense interest of visitors to get acquainted with SBZ systems and EMDI applications, is the proof that we provide only reliable software solutions over the years! We always stand by our customers, providing new products, innovative solutions and the best support!